Wow, this coat is way off track. God willing, I hope to wrap it up this week. Even though I haven’t been posting, some progress has been made. I ran into a major roadblock when I realized that I had screwed up buying the shoulder pads for this project. I’m a horrible shopper and picked up two right shoulder pads instead of a right and left. I fired off an email to Peter of Male Pattern Boldness fame, and he graciously sent me two lefts. What a guy! I owe him lunch the next time I’m in NYC. While I waited for the shoulder pads to arrive, I entertained myself by making my own sleeve heads. 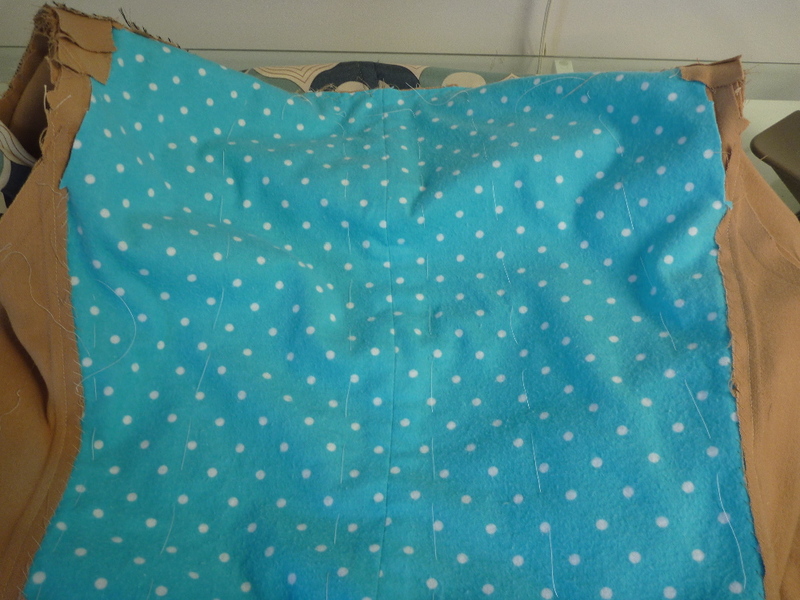 These are 2.5″ wide strips of my “wool” fabric basted together. Because this coat really needs a more structured shoulder I made a double layer. The bottom layer is approximately 6″ long. Once basted together they are backstitched into the sleeve seam right over the cap of the sleeve. 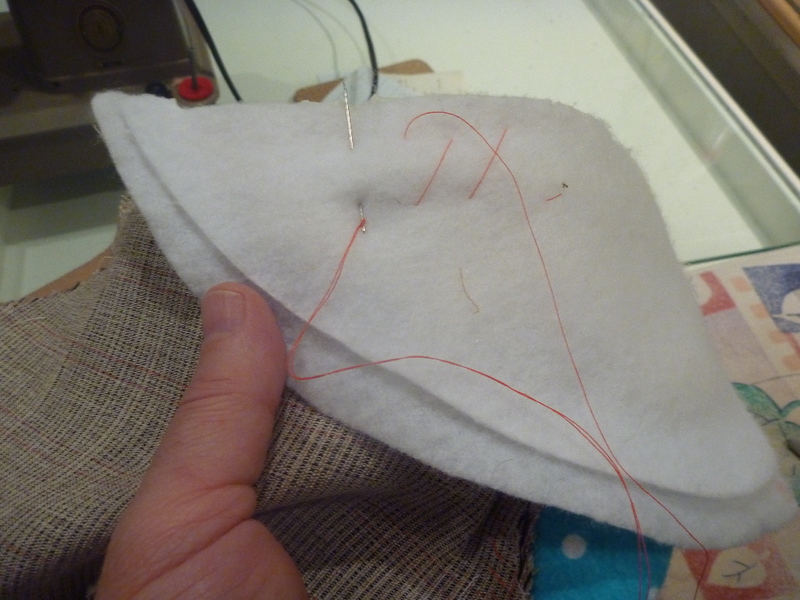 The edge of the sleeve head should be even with the armscye seam allowance. I then discovered Laura Mae’s blog Lilacs and Lace via MPB. This gal banged out a full length wool coat, completely lined (and underlined no less!) in less than a week! Talk about a jaw dropping moment. 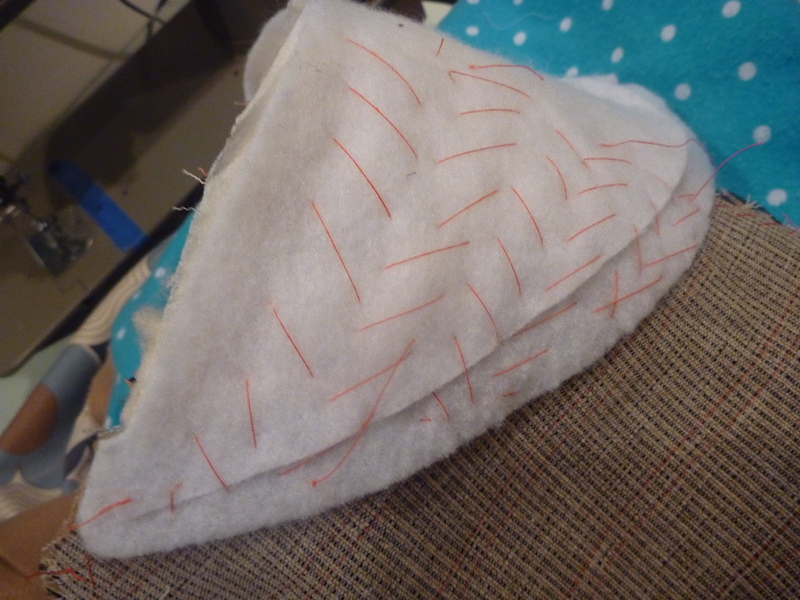 I was still waiting for the shoulder pads to arrive, so I decided to underline the back of my coat with some left over cotton flannel. I flipped the coat inside out to get the lining out of the way and basted the flannel in place. 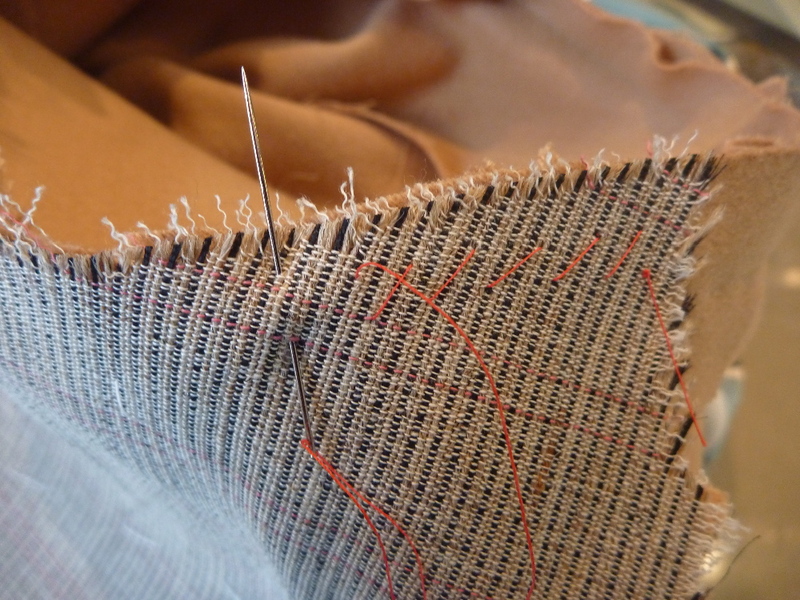 The flannel underlining was then whipstitched to the side / back seam allowances. It added some much needed heft, and hopefully warmth, to the back of the coat. 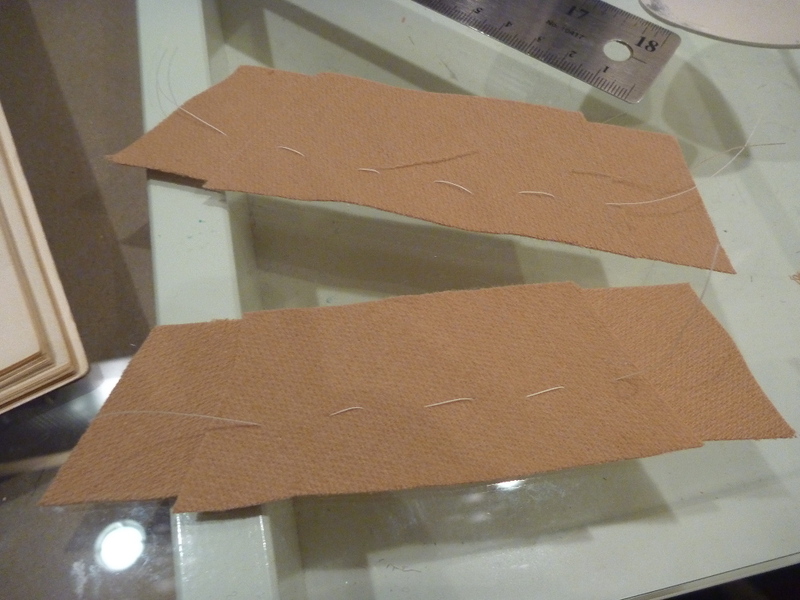 Before sewing in the shoulder pads I secured the canvas interfacing to the arm hole seam allowance. Up to this point it’s just been flopping around at the shoulder. sewing. When you start your next project I plan to be sewing along. All the best for '12 ! A coat doesn't need to be finished in a week (however amazing it is). As long as you're having fun..